Akala Island Part 3 in Pokemon Ultra Sun and Ultra Moon focuses on Mallow's Trial and your battle against the Akala Island Totem Pokemon Lurantis. This walkthrough covers Akala Island Part 3 from the return to Paniola Ranch up to Mallow’s Island Challenge at Lush Jungle for Pokémon Ultra Sun and Moon. Note: The information and images contained here are taken from Pokemon Sun and Moon. We will be updating them when Pokemon Ultra Sun and Moon comes out. Don’t forget to check out our Pokemon Ultra Sun and Moon guide! Head down to Route 7 and make your way north into the tunnel. After that, make your way through until you encounter the Ultra Recon Squad. There will be a short cutscene which then you can make your way to Route 8. Head into Route 8 where you’ll trigger a cutscene with Professor Colress from UNOVA. After that, you’ll find TM 43 – Flame Charge. Make your way to the poke center where you’ll find Hau and have a conversation with him in regards to the Lush Jungle Trial. Head south and cross Route 5 to make your way to Lush Jungle. Head west to a grass patch near the water. TM43 (Flame Charge) Received from Professor Colress. Rare Bone Behind the Fossil Restoration Center. TM53 (Energy Ball) Leave Lush Jungle through Route 8. Ultra Ball Head west to a grass patch near the water. It’s near a scientist trainer. Lum Berry Given to you from a trainer’s brother. Defeat the Preschooler Kaleb near the Poke Center. Dive Ball East of the hotel and a path heading behind the hotel. There’s a trainer nearby so be prepared. Water Stone Head west in the Water. A Wimpod should be nearby. Yungoos Route 8 Grassy Areas; day time only. When you arrive at the Lush Jungle, speak to Trial Captain Mallow to start the trial – Akala Island Part 3’s main event. Once the trial begins, Trial Captain Mallow gives you the Forage Bag to collect the items. Mago Berry – Northwest area, look for a tree in the western side. Honey – Check the flowering bushes near the entrance. Big Root – Near a pack of Sudowoodo standing next to Lana. 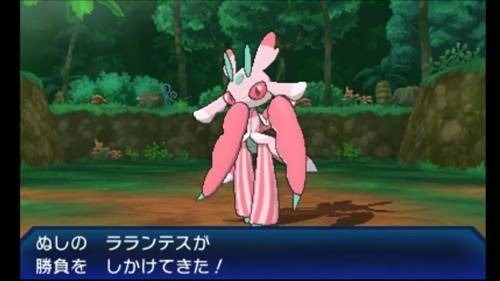 After finding all the items, head back and you’ll begin your battle against Lurantis. Grassium Z Mallow will give it to you. Defeat the Totem Pokemon Lurantis. Nest Ball x 10 Mallow will give it to you. Defeat the Totem Pokemon Lurantis. TM67 (Smart Strike) Mallow will give it to you. Defeat the Totem Pokemon Lurantis. TM86 (Grass Knot) North of the Jungle, head over to the west side of the woods. It should be in some sort of crater. Max Revive West side of the field where the trees are near the Honey. X Defense East side of the Jungle. Heal Powder Lower part of the path near the X Defense. Look for a darkened spot on the ground. This is the main event for Akala Island Part 3. When the battle starts, Lurantis will gain 2 stage up boost for speed. If you got the fire type starter pokemon, this battle should be easy and just use Firrium Z. However, if you don’t have, there should be some Salandits lying around especially in Wela Volcano Park. If you have no Fire Pokemon, Flying Pokemon or Bug Pokemon will do the trick. After defeating Lurantis, you’ll get the Grassium Z, 10 Nest Balls, and TM67 (Smart Strike) from Trial Captain Mallow as a reward. TM 43 is Flame Charge. Just to let those know who were just as confused as I was when I read thus. *this* This autocorrects to thus for me lol.